Secretary of State Mike Pompeo’s much-awaited Iran speech yesterday was symbolically important but lacking in new substance. The Trump administration, as Pompeo put it, will one way or another force Iran's Islamist regime into a corner, but he did not specify how or to what end. Why it matters: Pompeo’s speech had for weeks been touted as the moment Washington would unveil its grand strategy to end the Islamic Republic, but its approach is still unclear. What's clear, at least for now, is that the main U.S. tool of pressure against Tehran remains the imposition of stiff sanctions. The speech was delivered at the Reagan Presidential Library in California, home to the largest Iranian American community in the U.S., in an apparent effort to summon memories of President Reagan’s push against the Soviet Union. 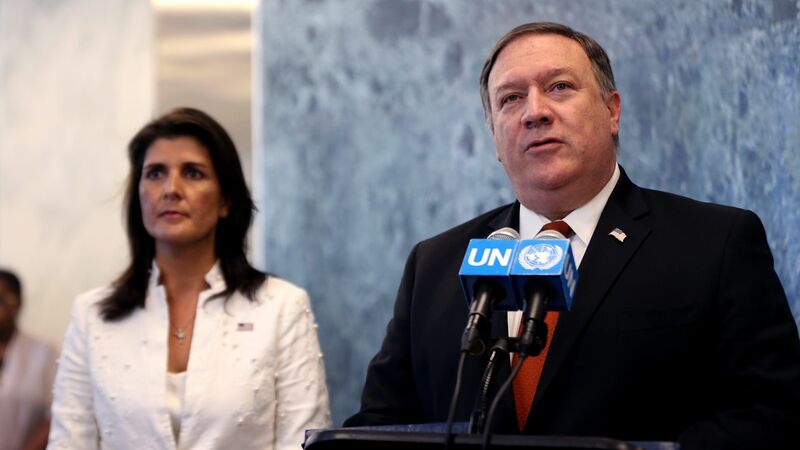 But the Trump administration has kept the diplomatic door open to Tehran, which suggests that it has yet to make up its mind about whether it wants to negotiate, as Trump did with North Korea after a flurry of back-and-forth insults, or to seek the regime’s downfall. As much as Iran hardliners might pin their hopes of regime change on Trump, he does not appear to be a regime-change-at-any-cost president. If presented with the opportunity to negotiate, for example, a de-escalation agreement in Syria or a new nuclear deal with Tehran's clerics, Trump would likely take it. The big picture: Ultimately, the chances of Trump making diplomatic headway are slim, as Iranian President Rouhani claims that he has on eight occasions turned down Trump's calls for direct talks. In fact, the Iranian regime's position seems to be one of buying time until 2020, when it hopes the next U.S. president will take office. In that sense, U.S.–Iran relations on Trump’s watch are unlikely to change going forward: Both parties will be generous in accusations and acrimony but short on policies that could improve the rancorous status quo. 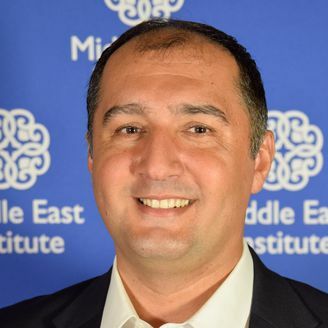 Alex Vatanka is a senior fellow at the Middle East Institute. That the 2015 nuclear deal has so far delivered on its core promise is not in dispute by most observers. If Iran today chooses to dash for a nuclear weapon it will be found out, thanks to the restraints imposed on it by the deal. Yes, but: The performance of the deal was not the key factor in President Trump’s withdrawal of the U.S. from the agreement. His decision points to the greater aim of bringing about regime change in Tehran, as suggested by his appeal to the Iranian people to rise up and reclaim their country from the Islamist dictatorship. Why is Trump gambling that Iran is ripe for regime change? That's what Iran hawks in his circle, such as Secretary of State Mike Pompeo and National Security Adviser John Bolton, are telling him. Just this past weekend, Rudy Giuliani, another Trump loyalist and anti-Iran voice, told an Iranian opposition group rally in Washington that Trump is committed to regime change in Tehran. To a lesser extent, this notion that the Iranian regime is on the brink is also backed by mounting evidence of popular anger about Iran's inept domestic and foreign policies. The regime often prioritizes its Islamist agenda over the everyday needs of its citizens. It's not likely any members of his administration expect Iran to come back for new talks with Washington and give away more for less, so Trump is essentially banking that anger is about to tip the balance in Tehran and attempting to expedite it. Th bottom line: It's uncertain whether renewed American efforts to sanction Iran’s economy would be able to spark a regime-toppling popular uprising. Another possibility is that the regime in Tehran will successfully blame the U.S. for the suffering of the Iranian people. Trump's gamble could go either way, though the latter fate seems more likely in the short term.